Paillasson Big Bang Theory - Knock Knock Knock Penny ! Vous recherchez un paillasson original d'une série dont vous êtes fans ? Big Bang Theory peut-être ?! Voici le paillasson Big Bang Theory - Knock Knock Knock Penny ! Pour les fans de la série ce paillasson est très drôle. 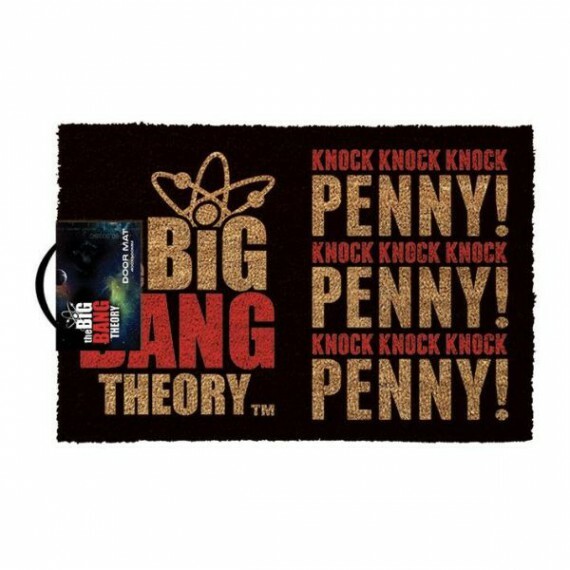 Produit : Paillasson Big Bang Theory - Knock Knock Knock Penny ! - Knock knock knock ! Penny ! Knock knock knock !